Please support BE A SHERO Foundation as we host our SAVERS FUNDrive on Saturday, Dec. 29th. If you have any clothing items, shoes, accessories, beddings, toys, small furniture, books, etc. 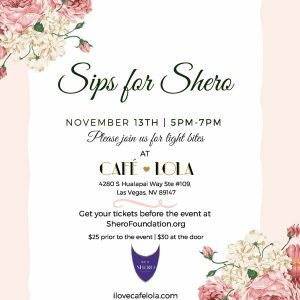 that you’d like to donate, please drop them off to either of the following locations: Summerlin location (Lake Mead and Rampart) from 10am to 1pm or Henderson location from 12 noon to 3pm Please mention your donation is to support BE A SHERO Foundation. Another successful SIPS for SHERO event hosted by Alex & Ani at the North Premium Outlets. Thank you to all who stopped by and supported this fundraiser and a big THANK YOU to Alana and her team at Alex & Ani. A portion of the proceeds benefitted B.E. 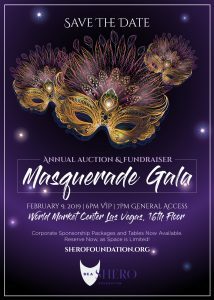 A S.H.E.R.O. Foundation. 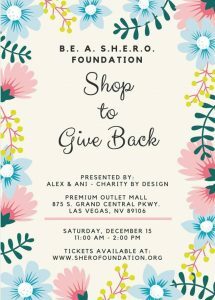 #SHERO #Alex&Ani In the pic is Spencer Horn, advisory board member, Monica Coburn, founding board member, Anita Mathur, Events Chair and Alana Marchese, Store Manager.